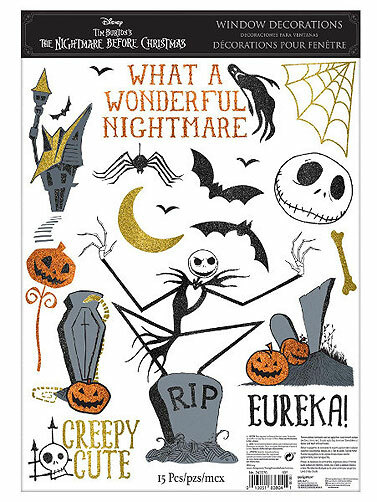 Create a wonderful nightmare scene with this Nightmare Before Christmas Glitter Window Cling Decoration. Static clings to windows. Includes 15 cling decorations with glitter accents on one sheet. Clings range in size from 2.5"H to 9.5"H. Reusable. Vinyl. Nightmare Before Christmas Glitter Window Cling Decoration measures 17"H x 12"W.